Are you an accountant, dentist, plumber, landscaper, or any other local service provider? Are you looking for ways to make the most of Facebook without spending a lot? If yes, then you have landed at the right place. According to the Q1 2018 Facebook results, there are more than 1.5 million daily and 2.2 billion monthly Facebook users. These number of active users range between the ages of 13 and 65+ years. This means that regardless of who your target audience is, they are using Facebook. You simply can’t overlook Facebook when it comes to promoting or marketing your local business. And the beauty of Facebook is that it provides countless opportunities to outperform and achieve your business goals. Here are some Facebook tips for local businesses that you can incorporate to help you elevate your Facebook marketing and advertising success. Select this tab while creating your business page on Facebook. One of the most important Facebook tips for local businesses like yours is to have a Facebook page for your local business. This page will be the front that will provide every detail to your potential and existing clients. When connected to this page, your clients will be able to stay updated with all your business activities, announcements, offers, and other updates. First things first, choose the right name for your page. 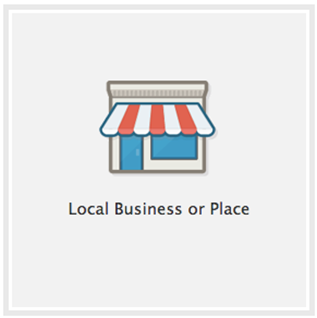 Make sure it matches with your local business’s name so that people don’t mistake your page for any other business. Next, select the category that most closely matches your industry. By selecting the right category of business, you tell your Facebook followers about the type of business you run. While creating your business page, fill out all the contact and other details of your business. You might think no one pays attention to your Facebook page’s business description, or that your category designation doesn’t matter. But people actually do it to know more about your business. Therefore, complete the form while creating your business page and fill all the necessary credentials accurately. Make sure you put the right address, phone numbers, email id, and operational hours of your business so that local customers can easily get in touch with you. You must also add a short description of your business describing what kind of products or services you provide in your area of operation. If you offer a variety of products or services, it’s useful to list them under ‘Products’ section. Moving on to the pictures, you must upload pictures that are related to your business. Keep in mind that your cover photo will display at 828 x 315 pixels on desktop computers and at 640 x 360 pixels on smartphones. So use the right resolution of pictures. You can use a square picture as your display picture. Pro tip: it would be the best if you use your business’s logo as the display picture so that people can recognize your page just by looking at the name and image. 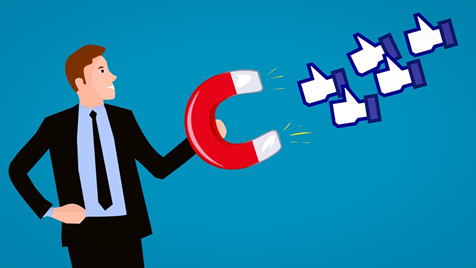 The content you post on your local business’s Facebook page is one of the deciding factors whether your clients and followers will stay connected to you in the long run or not. If you fail to share engaging and helpful content on your page’s timeline, you might miss out on several followers and even some potential clients. Therefore, to reach the right audience and be successful, be very careful about what you put up on your business page. Don’t entirely rely on textual content for Facebook. People love engaging content that catches their attention and appeals their eyes. Therefore, post more images, videos, infographics, GIFs, slideshares, etc. to make your profile engaging. You can also post a mix of different types of content related to your business. Share posts based on the trending issues. You can post your views or add a poll where people can share what they feel about the trending topics. This way, your posts will receive a lot of engagement too. All local business owners strive hard to provide excellent customer service to their potential and existing customers in every way possible. The kind of services they provide to people is reflected in the ratings and reviews people give to business owners. These reviews and ratings don’t just describe the customer experience but also advise other potential customers whether they should choose you for their requirements or not. Therefore, you must be careful about what people are talking about you. Keep an eye on the reviews and ratings you get on your Facebook page. Go to the notification settings of your business page and select “Get a notification each time there is any activity on your Page or an important Page update.” This way you will get a notification every time someone adds a review or rating on your Facebook page. 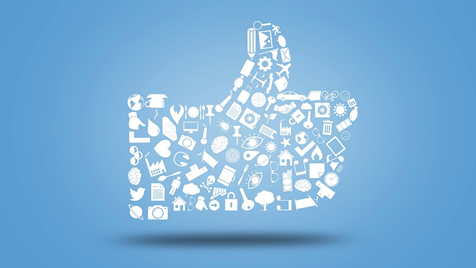 Reputation management should be an integral aspect of your Facebook marketing strategy. Hence, try and respond to all the reviews you get at the earliest. Responding quickly to the reviewers will make them feel that you care about what they feel and say. Understand the reviews people give and respond accordingly. 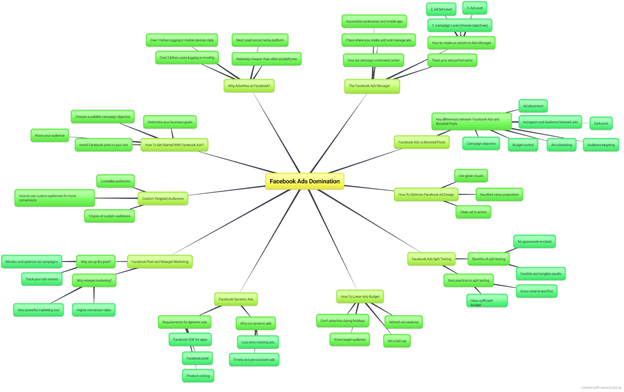 If your customers give you a positive feedback for your products and services, thank them publicly. If you get an undesired or negative review, try to take it positively. Don’t avoid such reviews and leave them unanswered. Also, don’t delete them. Doing so can only tarnish your organization’s reputation. Stay calm and respond politely. Make sure you talk about the concern that the reviewer has pointed out. Don’t get personal or take the reviews to your heart and respond furiously. Doing so can further annoy the reviewer, and the situation can become serious. Thus, assure them that you will look into the matter and provide better service the next time. You can also contact your reviewers off-Facebook to understand the issue well and provide the right assistance. If you develop a good rapport with the client later, you can request them to edit their review later. But see to it that they don’t feel that you just want to gain positive points. When it comes to executing Facebook ad campaigns, there are a number of tips you can follow or have a Facebook advertising checklist that you can keep handy everytime you design a new campaign. As more local businesses and marketers realize the huge potential that Facebook offers for their products and services, they start using Facebook ads as much as they can. The increasing competition can make it even harder to reach your target customers. But when you follow the right Facebook tips for local businesses, you can be successful and competitive too. Awareness: To generate interest in your business. Consideration: To get people to start thinking about your business and look for more information about it. Conversions: To encourage people interested in your business to purchase or use your product or service. Based on what goal you select, you will have different call-to-action options. The next crucial thing to do is select the type of Facebook ad. Facebook offers different types of ad types such as single-photo or -video ads, carousel ads, canvas ads, slideshow ads, etc. that can be ideal for different local businesses. Then, decide the placement of your ads. Facebook allows you to place your ads on Facebook’s mobile and desktop news feeds, Instagram, and Messenger. Feeds, instant articles, right column, in-stream, etc. are some placement options on Facebook. Not only this, Facebook allows you to select from Mobile only, Desktop only, or All Devices based on your choices. Also, test different ad types, placements, call-to-action buttons, designs, and other things to see which type of ads are performing the best for your local business. If you run out of ideas for running interesting Facebook ads, you can get inspired by what your competitors and other businesses are doing. 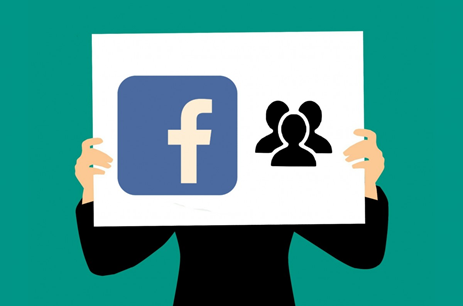 Several tools are available that will help you keep an eye on what other local businesses are doing with their Facebook ads. Let us first talk about the most basic one, FadFeed. FadFeed is a Google Chrome extension used to transform your Facebook timeline into a gigantic ad feed. The extension filters out all the non-promotional and non-sponsored posts and fills the feed with Facebook Ads by relevant and other local businesses. In other words, FadFeed turns your Facebook feed into a real-time gallery of Facebook ad inspirations. There is another tool by Adespresso which shows you Facebook ads for any given industry. All that you have to do is enter the name or website URL of the business you want to study. You can even apply filters such as the industry of the business, the type of ads businesses run, the objective behind running ads, and also the placement of ads (desktop news feeds or Facebook side column). The tool will automatically search for all the ads matching your search. Once you have a list of ads run by your competitors, you can find their winning ads and get inspired by them. Facebook offers countless opportunities to local businesses so that they can create their brand awareness and meet their business goals. You can start with these Facebook tips for local businesses, and then talk to our social media marketing experts for more tips or any assistance in managing your Facebook Ads. Our professionals will share in-depth information about every feature of Facebook and share tips to make the most out of every feature.